Denosumab, a novel agent that inhibits osteoclasts, reduces the risk of fracture in patients with osteoporosis. However, worsening of hypophosphatemia and other symptoms may be induced by denosumab in patients with pre-existing hypophosphatemic osteomalacia. A 58-year-old man with hepatitis B presented with diffuse bone pain and muscle weakness. 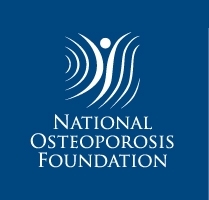 Denosumab was prescribed by the orthopedist according to documented low bone mass and spine compression fracture. After administering denosumab, the patient’s bone pain worsened, and he later developed a right tibia stress fracture. His condition was diagnosed as adult-onset hypophosphatemic osteomalacia complicated by multiple bone fractures, which resulted from Fanconi syndrome with proximal tubulopathy due to tenofovir disoproxil fumarate (TDF) treatment for his hepatitis B. Denosumab use leads to aggressive hypophosphatemic osteomalacia and the complication of stress fractures, because of its effects on bone resorption. Physicians should be aware that in patients with chronic hepatitis B monoinfection who are administered TDF therapy, bone pain or fracture is possible but preventable by timely monitoring of serum phosphate levels. 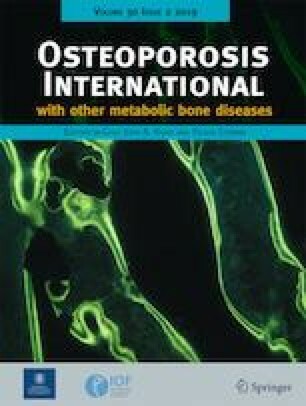 Denosumab should not be used in patients with untreated osteomalacia or vitamin D deficiency, as it may lead not only to hypocalcemia but also to hypophosphatemia in these patients. Informed consent was obtained from the participant included in this study.